When would you like to stay at YHA Skiddaw Bunkhouse? Surrounded by mountains and accessible only on foot or by mountain bike, Britain’s highest hostel is perfect for fell-walkers, adventurous families and lovers of wild and remote places. 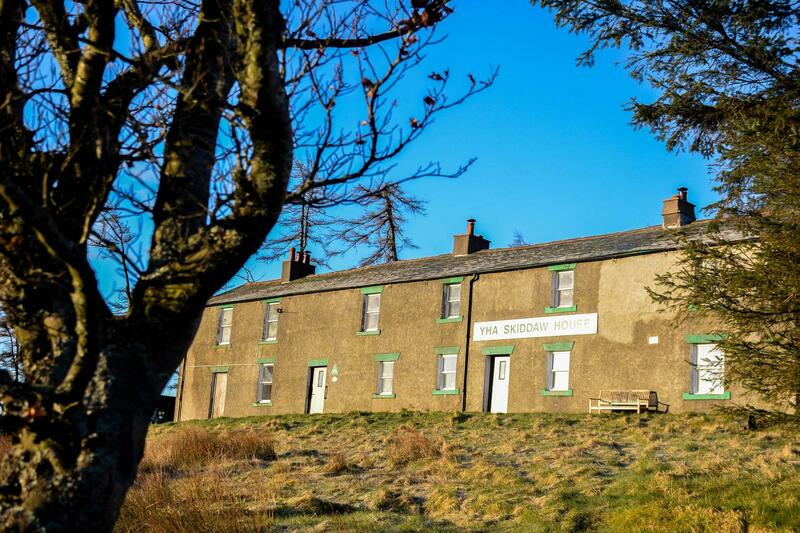 Situated at 1550ft on the flanks of Skiddaw, and 3 miles from the nearest road, this traditional hostel on the Cumbria Way offers simple yet comfortable accommodation. Stay here for a real escape from it all; with no mains electricity, phone signal, TV or internet to distract from the wilderness. Solar panels provide light and hot water, while wood-burning stoves provide the only heating in this Alpine-hut style bunkhouse. YHA Skiddaw has 22 beds spread over four rooms. Private rooms and dorm beds are all available. Bedding is provided and towels can be hired. The bedrooms are not heated, however hot water bottles and extra blankets are available if required. The building has recently been insulated with sheep’s fleece; this combined with the wood-burning stoves creates a cosy atmosphere in spite of the hostel’s high-altitude location. There are two showers, with reliable hot water. The traditional open plan common room, which features a nineteenth century range, combines a kitchen, dining room and drying room. There is also a comfortable lounge, with a coal fire, a dartboard and lots of books, games and musical instruments. 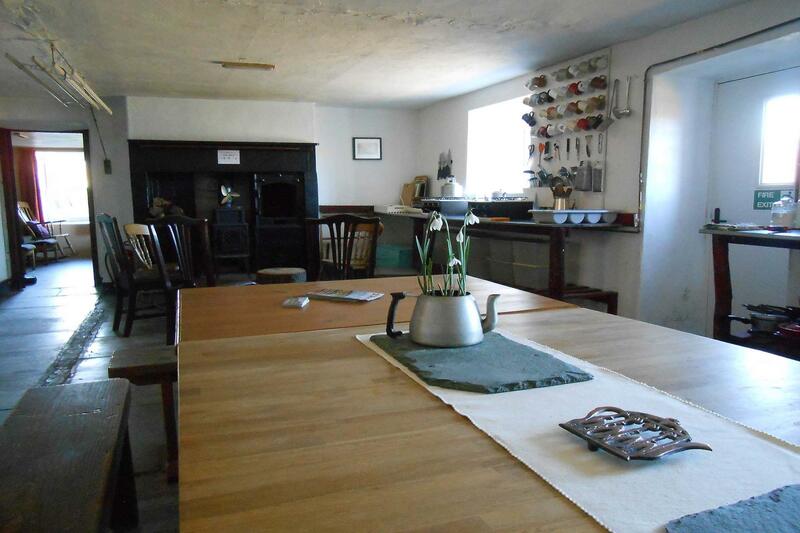 The self-catering kitchen has a gas oven and hobs, and is well-equipped with crockery, pans and utensils. There is a secure shed for guests wishing to store bikes. As we have limited solar-generated electricity we recommend bringing a torch to use during the evening. YHA Skiddaw Bunkhouse is self-catering, but our small shop sells everything you need for breakfast, packed lunches and evening meals. We also stock a range of wines, whisky and local ales, so there’s no need to carry a heavy bag up the hill. YHA Skiddaw House has a small number of camping spaces in the field in front of the hostel. 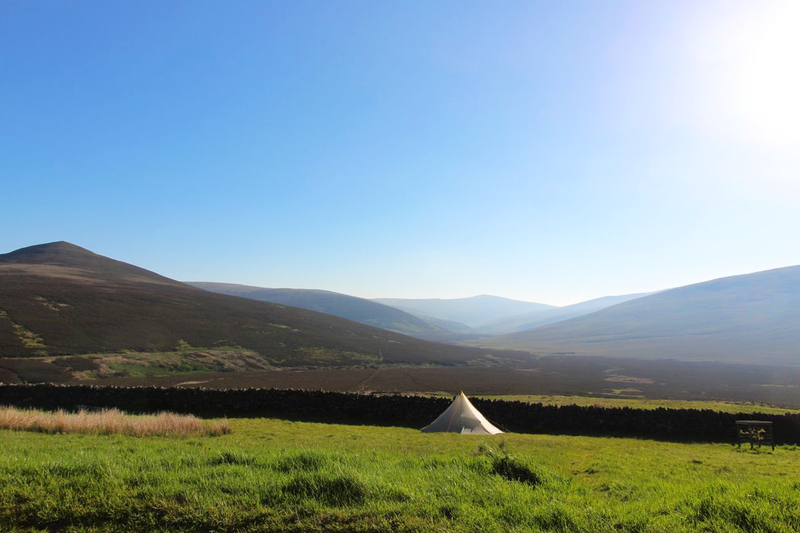 At an altitude of 1550 feet in a remote and mountainous location, this is a taste of wild camping, but with the benefit of having access to the hostel facilities. Due to limited availability, advance booking is essential. To enquire about camping for more than five people please contact the hostel. This hostel is occasionally made available for hire on an exclusive basis. This means that you can have the place to yourself and choose how many of your friends, family, club mates, etc, join you. We allocate availability for exclusive use in blocks, typically up to 90 days in the future. If you are looking for space to stay with us on a normal shared basis, and can’t see any availability three months or more into the future, then this hostel may be being held for Exclusive Hire. You can check availability for Exclusive Hire on our dedicated website. DIY Breakfast £3.50 – selection of cereals, bread (to make into toast), selection of jams, eggs (to cook yourself), fruit, fruit juice, tea and coffee. DIY Lunch £4 - bread and filling (to make your own sandwiches), crisps, fruit, cereal bar and fruit juice. DIY Evening Meal £4.50 (to cook yourself) – choose from a selection of ready meals, plus rice or pasta and a pudding. We are licensed and stock a good selection of bottled beers from our two local breweries: Hesket Newmarket and Jennings. We also have a range of wines and single-malt whiskies. Whether ridge-scrambling, Wainwright-bagging, or walking to a pub/café is your thing, YHA Skiddaw Bunkhouse is ideally located. YHA Skiddaw sits at the centre of a network of popular routes of varying difficulty and we can easily accommodate bikes at the hostel. Check in: 17.00 - 21.00 - early arrivals can access the common room via a keypad. The keypad code will be emailed to you on booking. Open every day? : YHA Skiddaw Bunkhouse is open for bookings from March until October - advance booking is essential. During the winter, the hostel is available for Exclusive Hire. Towels and toiletries: Bedding is provided. Towels are available for hire at £2. Parking: The hostel is 3 miles from the nearest road and only accessible on foot or by mountain bike. Free parking is available in Threkeld, Keswick, Mosedale and Bassenthwaite. Card Payments: Due to being off-grid we can’t take card payments at the hostel, so please bring cash or cheques. Get all your family and friends together and get away from it all in this remote mountain hostel. Have YHA Skiddaw Bunkhouse all to yourself with YHA Exclusive Hire. Built as a shooting lodge in the early 19th century, Skiddaw House was also used as a shepherd’s and gamekeeper’s accommodation until the 1970s. It became a youth hostel in 1987.